Select the event you would like to buy tickets for. Fire up your imagination to experiment with momentum, kinetic and potential energy, and the forces of physics! Work with a team to build a roller coaster thrill ride and engineer a racecar to take home! Registration closes one week prior to the camp in date. Payment is due at time of registration. Cancellation Policy: Refunds (minus 10%) are available up to one week prior to the Camp-In. We reserve the right to cancel events; in which case, a full refund will be issued. Dive into density as we fiddle with layered liquids to make a toy; build a buoyant boat and test the properties of H2O; and explore water pollution through a hands-on simulation! If your family has the guts, so do we—squid guts that is! Young biologists use proper dissection techniques to explore the insides of a squid and discover firsthand how the beak, ink sac and other adaptations help this odd, underwater organism survive. Topics include anatomy, animal adaptations, dissection and lab procedures. Decide how many squids your family wants to tackle and take apart! Make a miniature volcano, classify minerals, and create a beautiful recycled masterpiece! Then, experience the hair-raising effects of lightning in a shocking demo! For children ages 12-24 months and parent(s). 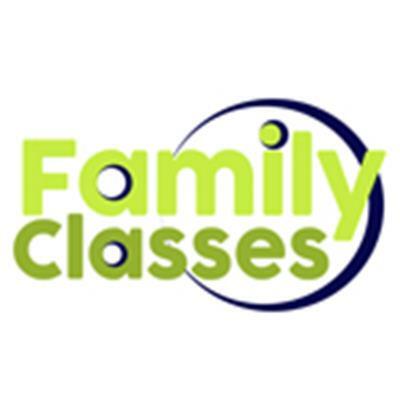 Fee: $6/family per session. 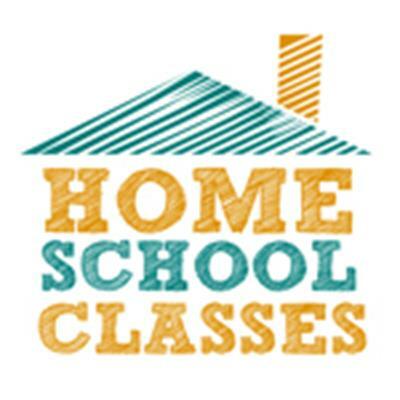 Advance registration is required; enrollment is limited to 10 families per session. 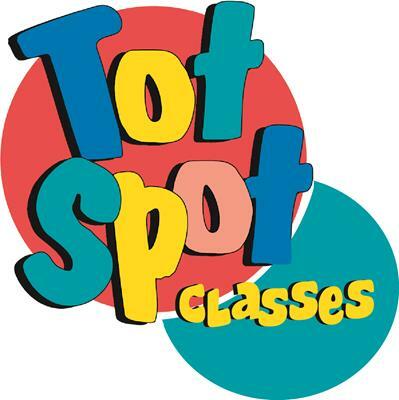 Class meets in the Tot Spot Classroom. Tuesday session repeats on Thursday the same week. After Care (4:15 - 5:15 PM) for the week of June 10-14 for the Medieval Mayhem summer camp. Before Care (7:45 - 8:45 AM) for the week of June 10-14 for the Medieval Mayhem summer camp. with Burpee Museum of Natural History! Knights of the realm, prepare yourselves for a week of adventure! Use your imagination to dig into a camp that sorts out history and mythology through STEM. Go on daily quests with other crusaders, be the engineer and construct castles and catapults, be the archeologist and examine dig sites, be the sorcerer and dabble in Medieval Chemistry. You will face your dragons as you learn swordplay for the stage and “Capture the Crown” in our outdoor science park! In order to succeed as the hero in these educational adventures, campers engage in learning and remain excited about science, math, Latin, history, and more! After Care runs between 4:15 and 5:15 PM each day after camp ends. Campers that are picked up after 4:15 PM need to have registered for After Care in advance or pay of that day's After Care session. Before Care runs between 7:45 and 8:45 AM each day before camp begins. Campers that are dropped off before 8:45 AM need to have registered for Before Care in advance or pay of that day's Before Care session. Science principals make sense with this hands-on approach that promotes knowing by doing. Topics include electricity and magnetism, light and sound, potential and kinetic energy. Get the materials, knowledge, and confidence you need to bring hands-on STEM learning to your students! Kids will make octopus mobiles, underwater viewers, whale friends, and even an entire ocean in a bottle. Sand will be involved too! Discover the joy of science, technology, engineering and math in this lively workshop. Topics include simple machines, forces, motion, and matter - energy interactions. Get the materials, knowledge, and confidence you need to bring hands-on STEM learning to your students! 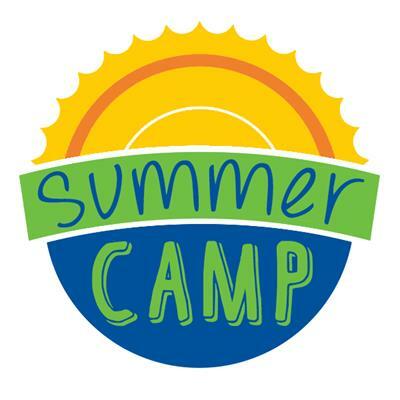 After Care (4:15 - 5:15 PM) for the week of June 24-28 for the Dino World: The Camp Xperience summer camp. Before Care (7:45 - 8:45 AM) for the week of June 24-28 for the Dino World: The Camp Xperience summer camp. Join the DPA (Dinosaur Protection Agency) in the design and construction of Dino World- a safe haven for the newly discovered dinosaurs! DPA agents will learn all about fossils, dinosaurs, and animal behavior. We will engage in fossil digs as well as live animal encounters. Scientists and Engineers will assist agents in dinosaur training techniques, DNA extraction, modern dinosaur habitat construction, and more! Join the action in a working PaleoLab where scientists are making real-time dino discoveries and delve into their cutting edge research. Do you have what it takes to be the next world famous paleontologist? Pete the Cat loves to camp because he loves to play! We will join him in his storybook adventures and rock our new school shoes and magic sunglasses! Use daytime techniques to learn about the night sky. Build and use astronomy tools to study stars, and find out how we know what we know about the universe. Topics include stellar evolution, planets, constellations, sun, star maps, moon, telescopes, tools of the trade, space exploration and resources. Plus, we supply materials for you to repeat these activities with your class. After Care (4:15 - 5:15 PM) for the week of July 8-12 for the Junior Medical Camp summer camp. Before Care (7:45 - 8:45 AM) for the week ofJuly 8-12 for the Junior Medical Camp summer camp. How can you have fun as a medical doctor or scientists? Experience the exciting opportunities available as we dabble into facets of several different medical careers. Conduct experiments and investigations, engage in hands-on medical science explorations with Discovery Center educators and special guests from the wide field of medicine. Learn basic medical exam techniques, investigate biotechnology, explore forensic science mysteries and participate in dissections. Scrub up! Your table is ready. Investigate weather using hands-on methods and readily available materials. Construct homemade weather tools, learn to read the sky, and discover weather on other planets. Uncover the roles played by sun, air, and water, and find the link between the smallest breeze and the largest storm. Explore literary and language arts ties to weather science, find the right Internet resources for your class, and become climate-change savvy. After Care (4:15 - 5:15 PM) for the week of July 15-19 for the Camp Half-Blood: Lunar Mission summer camp. Before Care (7:45 - 8:45 AM) for the week ofJuly 15-19 for the Camp Half-Blood: Lunar Mission summer camp. Camp Half-Blood returns to train demigods in becoming legendary heroes. Storytelling, live action role-play plus physically- and mentally-engaging activities will foster teamwork, develop new skills, solve problems, and create summer memories that will last a lifetime. We’re traveling beyond Mt. Olympus’s atmosphere this summer to discover the wonders found in our solar system and beyond. Cabin teams will practice engineering design skills, construct and test rockets, design space suits, and build an outpost on the moon! What animals roam the African Safari? Where is Africa? We will pack our Jeep and be off to see some lions, elephants, rhinos and more! After Care (4:15 - 5:15 PM) for the week of July 29 - August 2 for The Dangerous Camp for Boys summer camp. 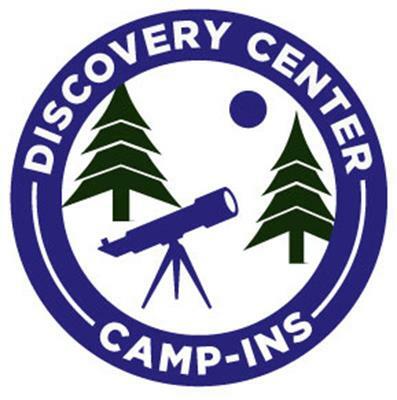 After Care (4:15 - 5:15 PM) for the week of July 29 - August 2 for The Double Daring Camp for Girls summer camp. Before Care (7:45 - 8:45 AM) for the week ofJuly 29 - August 2 for The Dangerous Camp for Boys summer camp. Before Care (7:45 - 8:45 AM) for the week ofJuly 29 - August 2 for The Double Daring Camp for Girls summer camp. Every boy craves adventure. Exploring uncharted territory, testing our limits–it’s what we’re made for. Through STEM adventures, this Camp provides boys the opportunity to practice new skills and develop their potential to shape the world around them while practicing a battery of skills that will be used into adulthood. Based on “The Dangerous Book for Boys,” the best-selling primer on the skills that every boy should know, we’ll explore the chemistry of explosions, survival skills, the physics of water balloon throwing, land and water navigation, and more! Girls are the queens of adventure...come take risks with us! At the Double-Daring Camp for Girls we push ourselves to the limit and try new things. Jump in to save our Rock River, learn outdoor survival skills, fiddle with physics and construct your own rollercoaster! We harness the laws chemistry to make explosions both beautiful and exciting! Based on the “The Double Daring Book for Girls,” the best-selling primer on the skills every girl should know. It’s a great time to be a girl; we will show you why! Push yourself to the limit and triumph over your summer with STEM! Plan on getting wet this week! All our fun will be designed around H2O. Campers will investigate its solid, liquid, and gas states. After Care (4:15 - 5:15 PM) for the week of August 5-9 for the Imaginarium: Inventor's Workshop summer camp. Strengthen your inventor skills and tackle some intriguing challenges! Real inventors know that moments of failure are necessary on the path to success. Inventing is not a “eureka moment”, but a process that requires collaboration, hands-on STEAM applications, creative problem solving, and entrepreneurship. Use all these skills to invent a robot that can draw, design a thrilling roller coaster ride, build a stabile structure using gumdrops, and more! Explore the far limits of innovation and imagination as you build your own creations! Before Care (7:45 - 8:45 AM) for the week of August 5-9 for the Imaginarium: Inventor's Workshop summer camp. Experiments and explosions are just some of the fun of this camp. Campers will make predictions and practice their observation skills while combining cornstarch, wather, baking soda, and more!Practicing the scientific process has never been so playful. 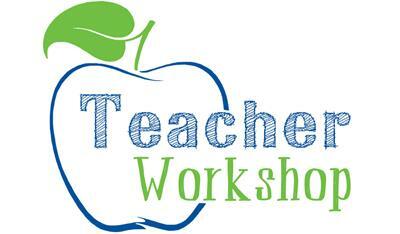 Properties of Matter for Elementary Teachers will meet August 6-8 from 8:00 am - 12:30 pm at Discovery Center Museum. Standard Registration is $75. Get your hands on amazing substances and investigaet properties of solids, liquids, and gases. Construct models of atoms and molecules, and measure volume, mass, and density without fancy equipment! Observe chemical reactions, explore interactions of matter and energy, and examine current applications of nanotechnology. Experiments and explosions are just some of the fun of this camp! Campers will make predictions and practice their observation skills while combining cornstarch, water, baking soda and more! Practicing the scientific method has never been more playful.